More than a century after being removed from a historic monastery in northern Greece, rare ninth-century Christian manuscripts have been located in the United States, where a team representing the Greek Orthodox Church is waging a tiresome legal battle to return them to the library from which they were taken. At the moment, eight of the sacred manuscripts sit among the library collections of three prestigious U.S. institutions — Princeton University, Duke University, and the Morgan Library in New York City. 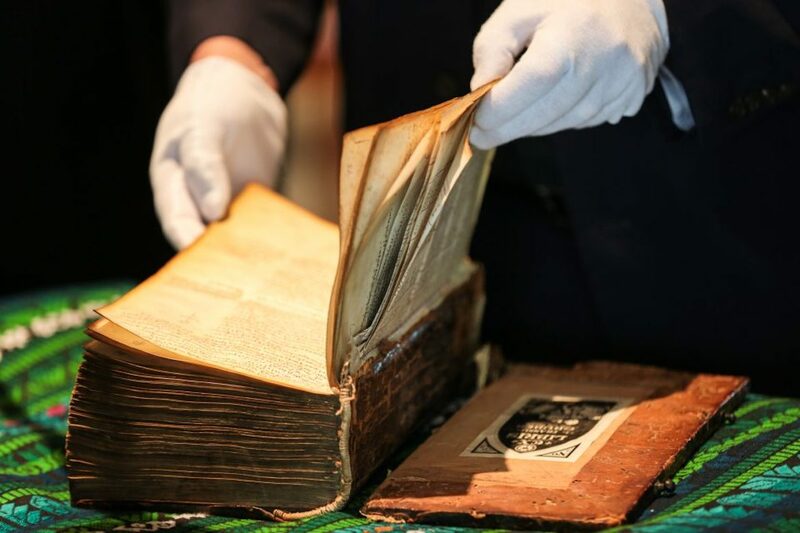 However, long before becoming pieces of American collections, these documents once resided in the Kosinitza Monastery — one of Greece’s oldest and most important Orthodox Christian religious sanctuaries — located in the northern region of Macedonia. 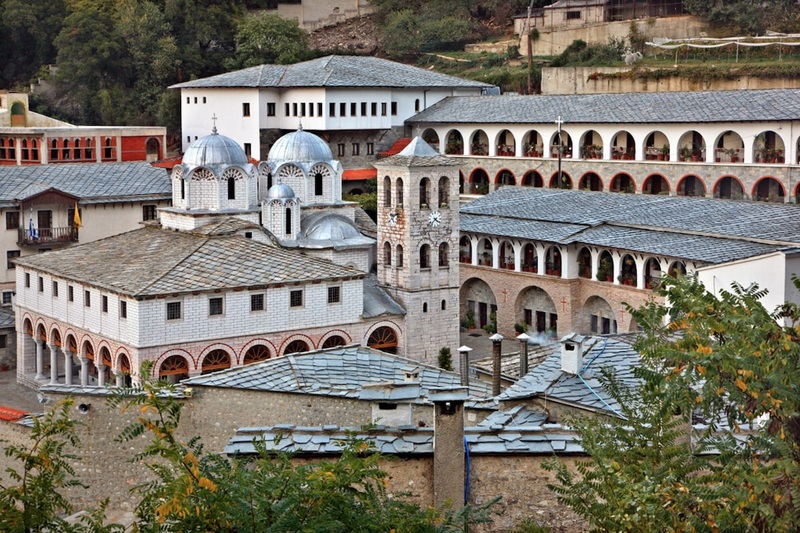 Also known as Panagia Eikosiphoinissa (“twenty palm trees” in Greek), the monastery was built in 400 AD just outside the city of Drama and has a turbulent history including several massacres of monks, destruction of its buildings — and theft of the extremely rare manuscripts. In March 1917, as World War I was raging throughout Europe, a group of Bulgarian militants raided the monastery and stole the entire contents of its library, which had been filled with holy texts that included the oldest complete version of the New Testament in existence. Before the looting, the library housed 1300 volumes, 430 of which were highly-valuable manuscripts. Many of the volumes dated back more than 1,000 years and were sold across Europe to various book dealers and collectors and never recovered. 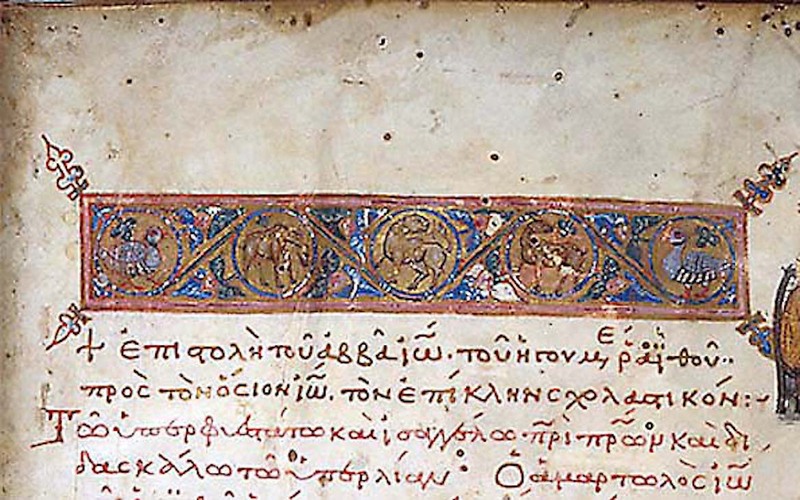 Attorney George Tsougarakis — a partner with Hughes Hubbard & Reed, a New York City-based firm that is handling the recovery of the manuscripts on a pro bono basis on behalf of the Ecumenical Patriarchate of Constantinople — said that his legal team has contacted each American institution to ask for the manuscripts’ return. “While we’ve had long discussions with each of them, and while they haven’t said no yet, they also haven’t said that they would return the items either,” Tsougarakis told The Pappas Post. He said the monastery has firm legal grounds to support the manuscripts’ return, as a thief cannot pass ownership to other buyers, which would mean that the institutions do not have legitimate claims of ownership. Two years ago — in addition to Princeton, Duke and the Morgan — a fourth American institution also held another valuable manuscript from the monastery, but its handling of the document starkly contrasts with how the three institutions in question are handling their own. The Lutheran School of Theology in Chicago had what turned out to be the oldest complete version of the New Testament, handwritten in Greek — one of only 60 such documents in the world. Ending up in a faraway collection, the sacred text had shared the same fate as the others that had been taken from the monastery one century earlier. In November 2016, however, the Lutheran theologians made a historic gesture by promptly returning the New Testament after a request from Greek Orthodox Church officials, giving up the 337-page document that was — by far — the most prized and sacred item in the school’s collection. Karloutsos, who handles various public and government affairs matters on behalf of the Ecumenical Patriarchate and the Greek Orthodox Archdiocese of America, is working closely with Tsougarakis to recover the remaining manuscripts and uses the Lutheran School’s example as one for the other American institutions to follow. Karloutsos added that the school’s gesture also provides “an interesting perspective,” saying that Princeton, Duke and the Morgan are “far wealthier” and “certainly don’t worship the manuscripts” as the Lutheran School worshipped its New Testament. Princeton’s Acting University Spokesperson Michael Hotchkiss said the school is “sensitive” to the Greek Orthodox Church’s concerns and that it is “committed” to ensuring that the manuscripts have been properly obtained. He said, however, that the university has “carefully reviewed” the information provided by the Patriarchate and has also been conducting its own research on the issue since late 2015. 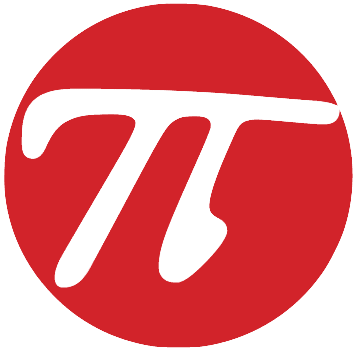 The spokesman added that Princeton will continue to give “prompt and meaningful consideration” to any other evidence. The Morgan Library Manager of Communications Shaili Shah was also contacted by The Pappas Post and said the library’s administration had no comment at the time. Finally, Duke University had not responded to requests for comment at the time of this article’s publication. In response to Princeton’s claims that it had not found evidence that the manuscripts were stolen, Karloutsos told The Pappas Post that the university can find such evidence on its own campus. 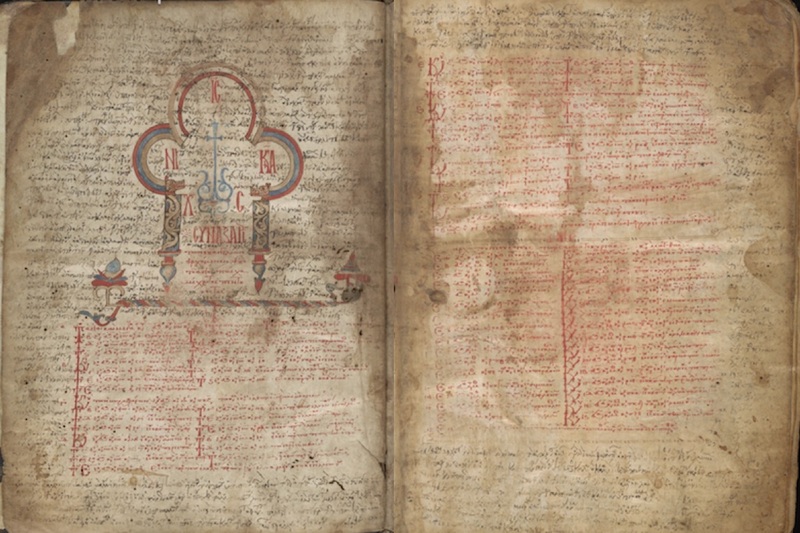 Gondicas, executive director of Hellenic Studies, and Skemer, curator of manuscripts at the university library, both describe Princeton’s own collection of Kosinitza manuscripts as being “removed” from the library by Bulgarian authorities. Karloutsos added that, in the same manuscript catalogue, Princeton provides extensive additional evidence from other sources that the manuscripts were part of the monastery’s collection and illegally looted in 1917. “Given the circumstances of the Great War and the plethora of published information available, the evidence clearly supports that the unauthorized taking of the manuscripts by the Bulgarian authorities was a theft — plain and simple — we know it, and Princeton knows it,” Karloutsos said. Tsougarakis said he thinks that institutions with valuable historical items often hesitate to give them back because it could set a precedent, leading to even more returns and possibly depleting a vast part of their collections. Various Greek diaspora organizations have shown support for the church in its effort to re-obtain the documents, as the Hellenic American Leadership Council in Chicago started a petition for supporters to sign. Karloutsos said he has hope that the institutions will make the “right choice,” citing a similar example of Nazi-stolen art being returned to families of Jewish collectors who had been victimized during World War II.